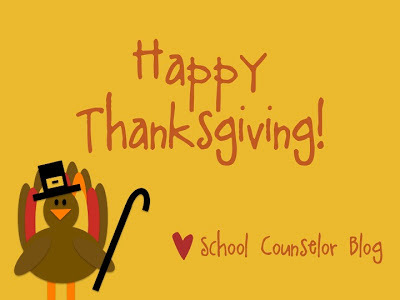 I am so thankful to be able to connect and share everyday with so many amazing school counselors all over the country (and the world)! You all are amazing! I have done a lot of traveling and presenting in recent months. Although I love connecting online, it has been super cool to connect and share with school counselors in person! I have been super busy lately with working as a middle school counselor, taking classes for my PhD program, presenting, supervising, traveling, and just life in general. I am so looking forward to some time to rest and relax with family and friends! How are you spending your Thanksgiving holiday?